Germain was born on April 1, 1776, in Paris to a wealthy family. Her parents felt that women could be harmed by strenuous mental activities and tried to deny Germain an education. She persevered and read all she could from the family library. In doing so, she taught herself Latin and explored the writings of Greek mathematician ARCHIMEDES. When the new school for sciences and math, École Polytechnique, was opened in Paris in 1794, Germain saw an educational opportunity. While women were not admitted to the institute, she found a way to obtain the lecture notes from the courses and, once again, taught herself. She became very interested in the work done by Joseph Lagrange at the school. She submitted a paper to him under the pseudonym M. LeBlanc as she believed that he would not read a manuscript written by a woman. Thus began her real education in mathematics. Lagrange was impressed by M. LeBlanc’s paper and they began a correspondence. She eventually confided her true gender and, much to his credit, Lagrange continued to support her completely. He met with her at her home and introduced her to the writings of many eminent mathematicians and scientists. Germain closely followed the work of CARL FRIEDRICH GAUSS and eventually wrote to him about her work in number theory. Their correspondence continued until her death. Germain made significant progress on two puzzles that had confounded others for over a century. One was Fermat’s last theorem, which states that no whole­number solutions exist for the equation xn + yn = zn when n is an integer greater than 2. 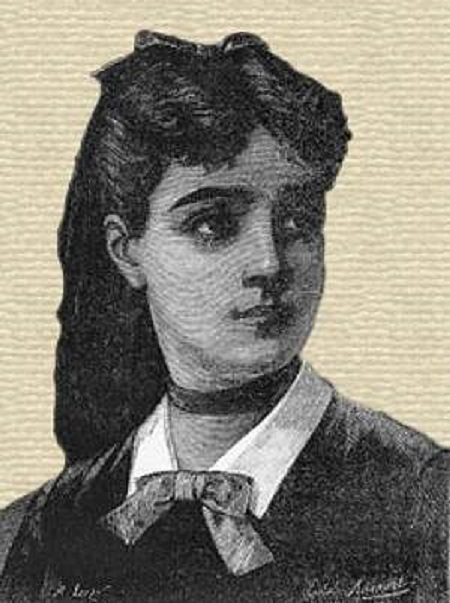 Utilizing her work in abstract number theory, she developed what came to be called Germain’s Theorem, which expanded the solution for Fermat’s last theorem by creating a proof for primes less than 100. The other puzzle she helped to solve was in the field of applied mathematics. The Institut de France established a contest seeking a theory about the elasticity of materials. Germain won the contest when it was offered the third time in 1816. She reported her ideas to the institute in a paper called “Memoir on the Vibrations of Elastic Plates.” Devised in response to the unexplained observations of Ernst Chladni, the German physicist who noted the symmetrical patterns sawdust would develop when lying on vibrating metal plates, the theorem described the predictable movement of particles due to vibration. The completed paper was published five years later in 1821. Germain continued her work in the field of elasticity until her death in 1831. Her correspondence with others enabled her to gain the education denied her through traditional means. Gauss remained a staunch supporter of Germain. He had even convinced the University of Göttingen to present Germain with an honorary degree. Sadly, Germain died before it could be conferred. During her lifetime, Germain’s work on elasticity enabled others to study the elastic properties of various materials. It has been applied since to studies of response patterns in solids that vibrate under stress, such as tall buildings swaying in the wind or responding to the stress of heavy traffic and the production of characteristic sounds in musical instruments. One specific example of this application is the Eiffel Tower in Paris, completed in 1889, which was designed using her ideas on elasticity of materials. Connections she made between mathematics and applied areas such as acoustics and material science continue to be of use today. Germain’s contributions to number theory remained important for many years. Her partial proof of Fermat’s last theorem provided a major stepping stone toward its eventual solution. Mathematician Andrew Wiles of Princeton University finally derived a successful proof in 1995. Posted on March 8, 2015 by Natalie. This entry was posted in Mathematicians. Bookmark the permalink.